So I got a GoPro Hero5 Session for Christmas but last night and today it just won’t connect to my phone. When I try to connect the GoPro to the app (yes it is paired, connected to the WiFi, and connection is turned on), it says, “There seems to be an issue connecting to your GoPro.” When I follow what it says to do (turn off/on camera and reconnect to the cameras WiFi) it does the same thing. I then reset the connection completely (reset it on the GoPro, forget the network, forget the paired device on Bluetooth) and when I reconnect everything, it lets me in for about 30 seconds then whatever I do on the app freezes. I close the app, reopen it, and the whole thing starts over again. Please help. I have the same problem, so am interested in the answer you get. I've tried what you've tried, I've also gone through the process of updating the camera softwarer but have had the same result. I set it up a few days ago and it worked for 30 seconds. But the next time (and every subsequent time) I have turned it on it just keep saying "There seems to be an issue connecting to your GoPro"
I'm following up on the previous posts about connection timeouts/fails/drops between Hero 5 Session and Samsung Galaxy s7 Edge via the GoPro App. GoPro peeps: I really want your help now: there's nothing anywhere on this and customer support only tells me what I - and I'm sure a lot of us - already know how to do: re-set/re-pair the devices. The Session works - everything functions as it should - and it has never been damaged in any way. The GoPro App (apparently) works - it turns on and everything you click behaves as you would expect it to. I then have to 1) reset the connection on my Session, 2) unpair GoPro in my Samsung Blootooth settings, 3) forget GoPro in my Samsung WiFi settings, 4) delete the Session camera on the GoPro App, 5) close the GoPro App and then 6) re-pair the Session with my Samsung via the GoPro App, where I'm able to look through the camera via the GoPro App, until the connection is lost once again. I have done a factory-reset on the Session a number of times (and even reformatted the micro SD, a SanDisk Extreme 64 GB U3), even deleted the GoPro App, and repeated the process above to death, and the same thing keeps happening. 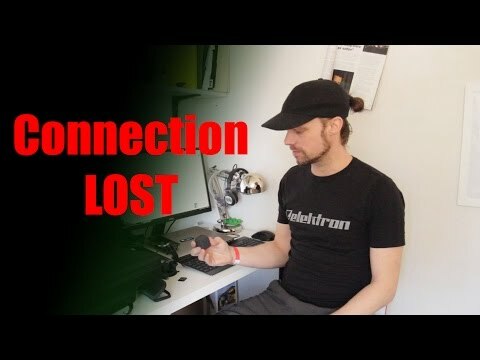 One insight: even after having successfully re-paired the Session with my Samsung (for the one-off connection), I ALWAYS lose the Samsung/Session connection whenever I try to delete media on my Session via the GoPro App. The message the GoPro App gives me is (or words to this effect): "Failure deleting media". Which suggests the GoPro App is unable to control the Session - could that be an indication of something? In summary, not only does the connection between Session and Samsung drop via the GoPro App, causing me to have to do a clean re-pair, but any attempt to delete or manage media on the Session via the GoPro App fails and causes the connection to drop. Can anyone help, besdies telling me how to re-pair my Session via the GoPro App, which I already (painfully) know how to do? This is a new problem as my Hero 5 Session never had any issues: this lack of/faltering control of the Session via the GoPro App and the one-off connection before the connection drops are both new. When the (fickle) connection is established, I can play videos an see photos via the GoPro App (I just can't do anything with them). Also, when I connect the Session to my laptop and hit import, I end up having to import everything every time. I also don't know why, but I find time-elapse videos and photo bursts on my Session (on the micro SD) along with the videos I shoot. Bizzarre! Hi - I am having the same problem as the others in this post with my new Hero 5 Session camera. Initially it paired with my smartphone, then after a few seconds I got the same spinning GoPro symbol and trying to repair gives error message ‘can’t connect’ I have also done factory rest and followed the trouble shooting guides to forget the connections etc. The phone I am trying to pair with is a Google Pixel 2 XL Interestingly, the same camera pairs successfully with my IPAD so it appears IOS is not a problem for my camera but Android is? Any hope of that, I wonder? Hope the tutorial will help you :) Ive added more files for you to try out. The files: https://www.dropbox.com/sh/ob7pisx38xpr7np/AAAgh1wNbxXbfoHTFglTxdDMa?dl=0 Name the folder UPDATE and put the 3 files in it. ...your solution can't be the solution, I'm afraid. I have the same micro SD in my GoPro, which I bought last year, and it works fine. I shouldn't have to buy a new micro disc whenever GoPro releases a firmware update or a GoPro App update that causes the App to lose control of the Session or that causes the Session to fail to communicate with the App. Is there anybody out there who knows how to resolve my issue (see my previous two posts above)?